Unique swimming pool designs that fit your style and space are a specialty of New View, Inc. We manage all aspects of your project from design, pool construction, screen planting, stone work, pergolas, lighting, sprinkler systems, patios, walkways, fencing and landscaping. 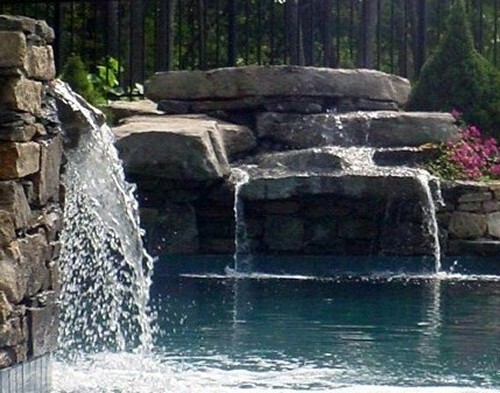 Your satisfaction is guaranteed, for all aspects of your pool and landscape construction project. Of course, we are fully licensed and insured. Our Pool designs are creative, beautiful and entertaining for the whole family. Water features like spas, shallow sunbathing shelves, waterfalls, diving rocks, fountains, climbing walls and water slides add interest and fun. 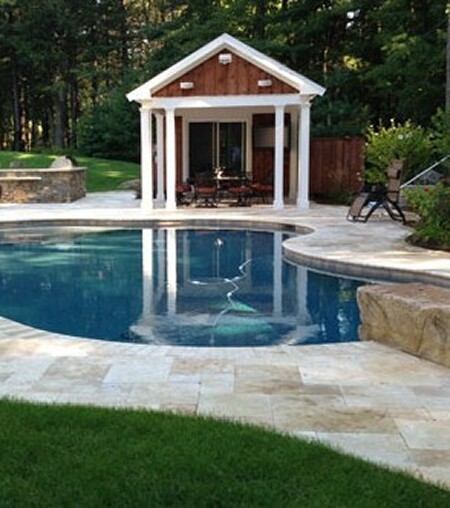 Pool designs should flow with your landscape design to create outdoor living spaces that are inviting and engaging. Contact Us today to schedule your free on-site consulation.